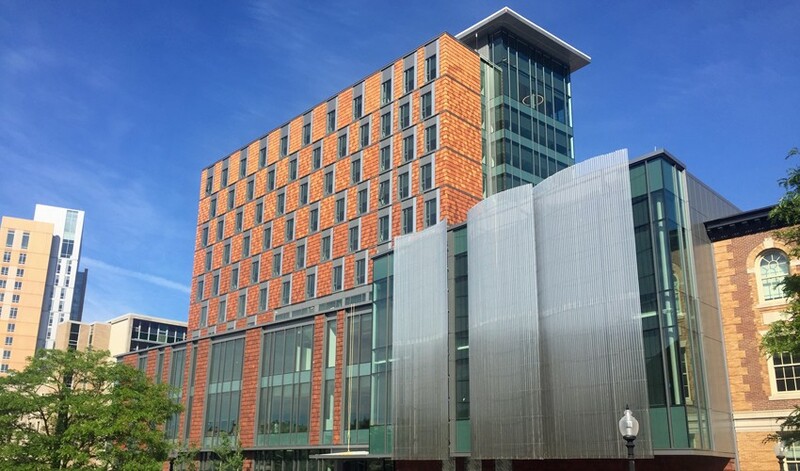 Completed in the summer of 2017, the New England Conservatory’s new 10-story Student Life & Performance Center features a new residence hall for 250 students, a dining commons, performance and recording spaces, a library resource center, and other student gathering spaces. 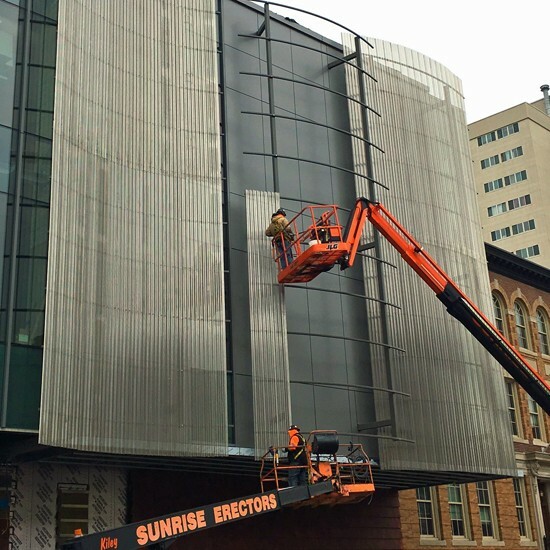 Sunrise’s scope of work consisted of about 20,000 square feet of ship lapped terra cotta tiles in three finishes installed in a perceived “random” mosaic pattern. The pattern was designed by the architect, and Sunrise worked with the general contractor to ensure that each colored tile was installed in the correct location and sequence. 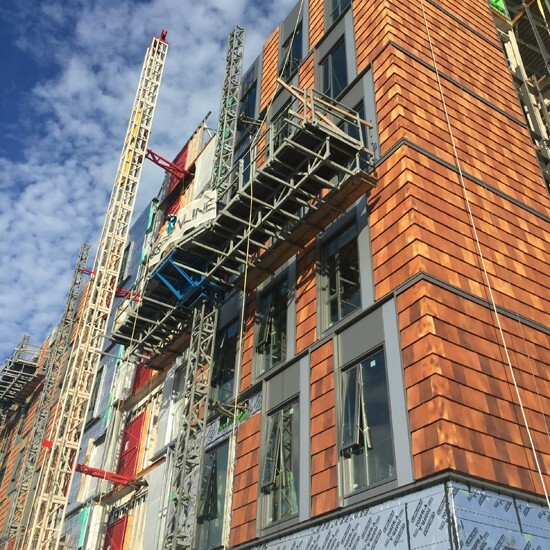 Custom dies and extrusions were made for the horizontal and end closures for the terracotta system. Sunrise installed all materials outboard of the AVB, including primary and secondary furring systems (as needed), exterior insulation, and exterior finish products. The project also included the following materials: 12,700 SF of insulated metal panels; 12,000 SF of aluminum composite metal accent panels around punched windows, wall panels, canopies, and roof copings; 3,500 SF of aluminum single skin corrugated/perforated profile panels at the roof mechanical penthouse; and 2,600 SF of stainless steel single skin corrugated/perforated profile panels at levels 2-4.